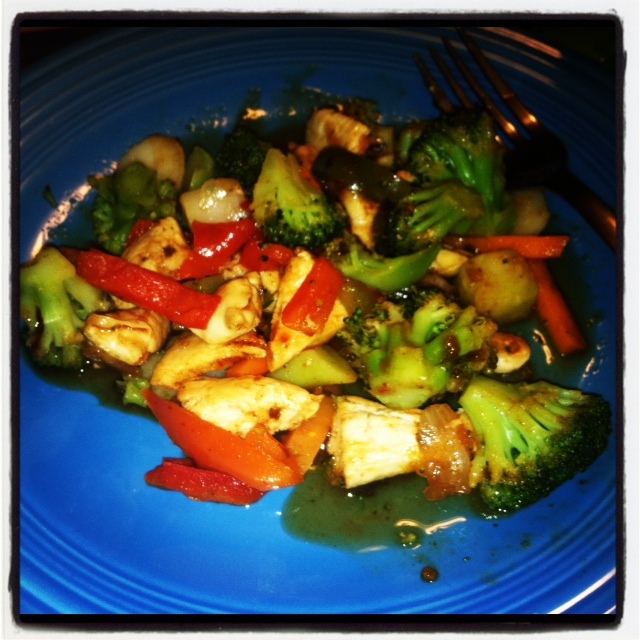 Fit for Success: Easy & Healthy Dinner Idea! One of my favorite parts of my day is cooking and enjoying a delicious (and healthy) meal! I love coming home after an awesome workout knowing that I'm not un-doing all of my hardwork at the gym. 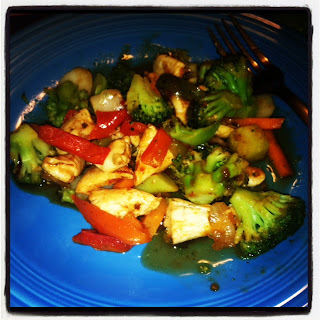 So, today I thought I would post an easy and delicious recipe that I had for dinner tonight! As you know, protein and vegetables are an essential part of a well-balanced diet! I happen to love vegetables, so this meal is one of my favorites, and so incredibly easy! So many people claim that eating healthy is too time consuming, but I am here to prove you otherwise! In the morning (before work or class), take out a bag of chicken and let it thaw for the day. By dinner-time, your chicken breast will be ready to go! In a pan on medium heat, use a quick dash of olive oil cooking spray before putting the breast on. At the same time, put a few tablespoons of water in another pan on medium heat and toss on your favorite veggie assortment. I cover this so that my vegetables "steam" for about 5-10 minutes or until they arent frozen or cold anymore. Make sure your chicken is cooked thoroughly, and dice it up. Add this to the vegetables! If you want, add a tablespoon of your favorite marinade to add some delicious flavor to your already-delicious meal! And there you have it: a healthy and protein-packed meal! Great for after a workout! It contains around 25 grams of protein, 200 calories, and 2 grams of fat, making it an all-around nutritious meal. So give it a try! No more excuses that cooking healthy "takes too long!"